By Regina Villiers. Originally published January 21, 2004 in The Suburban Life, added January 16, 2019. Dr. Michele Hummel, flanked by her husband Michael, and daughter Kristin, was the grand marshal of the Independence Day parade this past July 4. I knew her only in a casual way, though I wish I could say we were friends. The details and statistics of her life are not on the tip of my pen, though her life influenced me in a positive and enduring manner. When I recently read of the death of Dr. Michele Hummel, Madeira’s beloved superintendent of schools, my heart uttered an audible “Oh, no,” and I felt as if a recalcitrant donkey had kicked me in the stomach. All over Madeira, I’m sure other people had the same reaction. I have never known anyone to come into this town and become more known and more loved in such a short time. Almost everyone called her “Mikie.” I was never comfortable with that and often cringed when people did it. It seemed to infer that they were her peers and equals. They were not. To me, she was Dr. Hummel, and icon who had earned and deserved her title and admiration. Dr. Hummel was what I wish I could be: a fighter. A tough woman. A strong woman. She was not strong as is a concrete pillar, which can be toppled. She was strong as a tall, straight Slash pine tree, which bends in the wind and storms, but never breaks. When cancer struck her five years ago, she bent but never toppled. She kept coming back. In her years here, she gave 100 percent to her schools and to Madeira. She must have written into her job description that she attends every school function, however small. She always did. When I taught writing class in Sellman’s 30-Day Program, I had Laura Pulfer come to talk to my class. Dr. Hummel was there to welcome Laura that day. She continued this to the end. Just a few days before this past Christmas, she went to Sellman School to read a story to a class. She also made it her job to know everyone. When my son graduated from Madeira High, many years ago, the principal called to ask me how to pronounce my son’s last name. He didn’t know my son, he said, and didn’t want to mess up his name when he presented his diploma. That was a sad, poignant moment for me. He’d had my son in his school for four years, and he didn’t know his name? I’ll bet that Dr. Hummel knew every graduating senior’s name who ever left her school. And she always knew and acknowledged me. 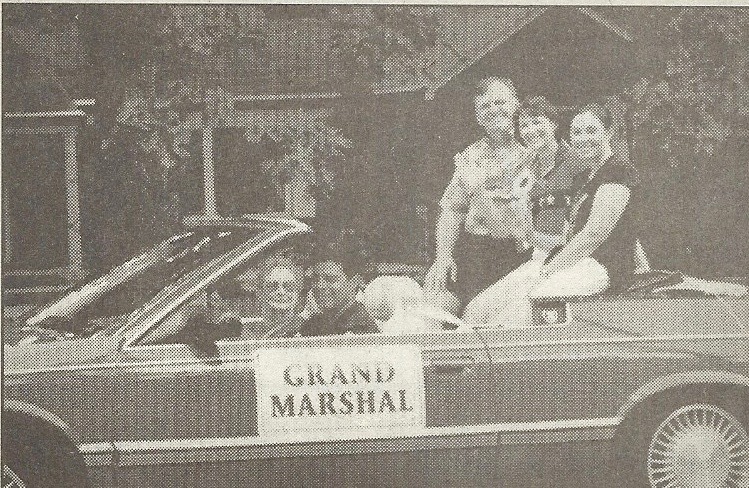 This pas July, she was the grand marshal of the Madeira parade. As she passed my vantage point on Miami Avenue, she called out to me and stopped the car so that I could take her picture. She looked beautiful, as always, that day and was enjoying the occasion with her family. The next time, and the last, I saw her was in late August. On the Saturday before school started, I took a young student to lunch. Michael had been a special student in my Sellman writing class. Now, he was going to start high school, and it seemed a good time to treat him. I took to the restaurant with me a memory book I had kept of his class. We lingered over lunch, looking through the book, laughing and chattering away. We were having such a good time that I hadn’t looked around me. I was unaware that anyone was watching us, until someone touched me on the arm. And now she is gone, at age 49. What she could have accomplished had she lived more years! Michele Hummel, “we hardly knew ye.” But you will live on in the hearts and minds of those who loved and admired you. I will remember forever your strength and your uncomplaining grace. I will remember your teaching. You gave us a lesson in living, and you taught us how to die.